We were the first ones there – again. Everyone is now discovering that while Yeti is an awesome product with awesome marketing, there are other products out there that are of the same or better quality styles and materials. 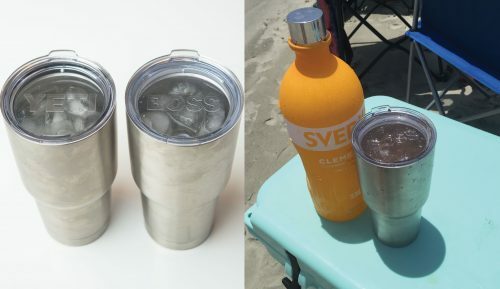 Last Summer we posted comparing our brands to the Yeti. We tested on the hottest day of the year, in one of the hottest locations in SC : On a boat, at an island, on July 4th. And guess who won.. In every situation, our tumblers were neck and neck with Yeti. 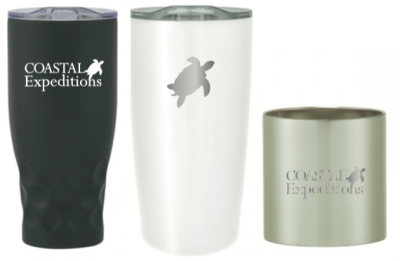 The Yeti tumbler style, 24 hours cold- 12 hours hot, is the new Tervis. Everyone loves to use these. Since our posts last year, we have added over 15 styles, various brands like Rctic, Orca & Engal; we supply various colors and lids. What makes each special is the way we design them. Your brand shines bright on these whether we color print or etch them (our fav). Markets for you all year long; special packaging and other custom inserted surprises have made them a win for our clients summer marketing & stand to be a huge hit this holiday as many clients have us tasked to design them for their holiday gift giving! Who wants one under the tree?! Contact us for a quick consult on your project & how these can best represent your company!